Still available! 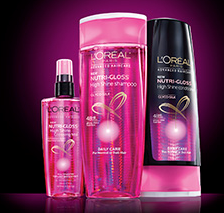 If you haven’t yet, you can go request a FREE Sample of L’Oreal Advanced Hair Care! You’ll be able to choose from six different samples, including the new Nutri-Gloss with Glyco-Silk product! Allow 6 to 8 weeks for delivery.